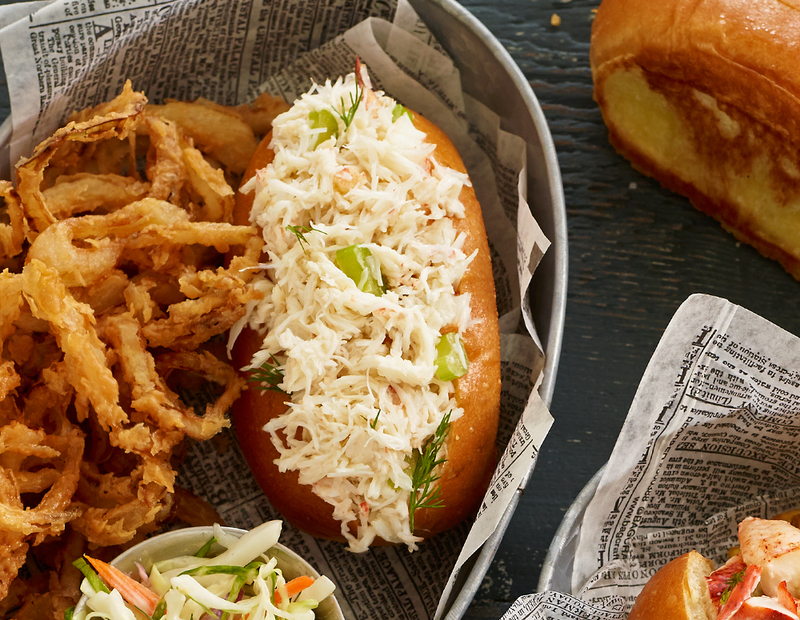 Our Crab Roll Kit for eight includes 15 oz. of shucked Jonah Crab Meat, eight mini brioche rolls (3 inches each), and 4 oz. of lemon mayo. Scrumptious! To maintain the integrity of the products, our Crab Roll Kit normally ships with frozen gel packs via a Standard Overnight ship method. Our Crab Meat and Lemon Mayo are shipped fresh and can be refrigerated for 3 days or frozen for 30 days. Our Brioche Rolls are shipped frozen and can be kept refrigerated for 3 days or frozen for 30 days. Remove shucked crab meat from package. Sort through the meat and remove any remaining shell or cartilage. Larger pieces may be cut into smaller pieces. Once done, add lemon mayo and mix. Chopped green onions or diced celery may be added to taste. Set your finished crab meat salad aside. Remove brioche rolls from package, slice each lengthwise to create a cavity for your crab meat salad. Stuff your rolls evenly with your crab meat salad mixture and serve! I loved this! Split and toasted the rolls with butter, and added some diced celery to the lemon mayo. It was a wonderful treat, and a good alternative to lobster tools as one family member cannot eat lobster. I was sent five kits from my Boston friends for a cocktail party. The rolls, crab and aoili were fresh and delicious. Ordered the crab rolls and the lobster rolls. Everything came cold and so very fresh to Ohio. It was like being on vacation. The lemon mayo was light and bright and brought everything together with the sweetness of the crab.